Want to next level the flavor of your next beef roast? Douse it in red wine. A dry red wine, or a red cooking wine will work wonders on the beef, as it slow cooks the day away. 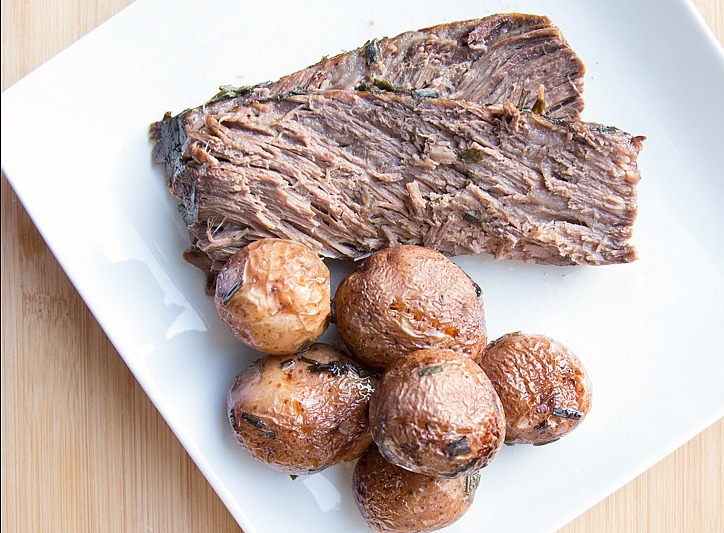 This particular slow cooker beef roast recipe also calls for garlic (use sparingly! ), fresh chopped chives and some baby potatoes. I’ve added a little beef broth to further deepen the flavors of the sauce that the roast will slow cooker in…yummy! The baby potatoes can be slow cooked whole and will take on the flavors of this amazing sauce too. Would also be simple and easy to toss in some onions, carrots and celery…if you’re going for a one-dish dinner. This one is always a hit with my crew of boys! Hope you enjoy this budget friendly ‘meat and potatoes’ meal with your people! Place the beef chuck roast into the base of the slow cooker and season with salt and pepper. Pour the red wine, minced garlic and chopped chives over the beef roast. Nestle the baby potatoes around the beef roast and then pour in 1 cup beef broth. 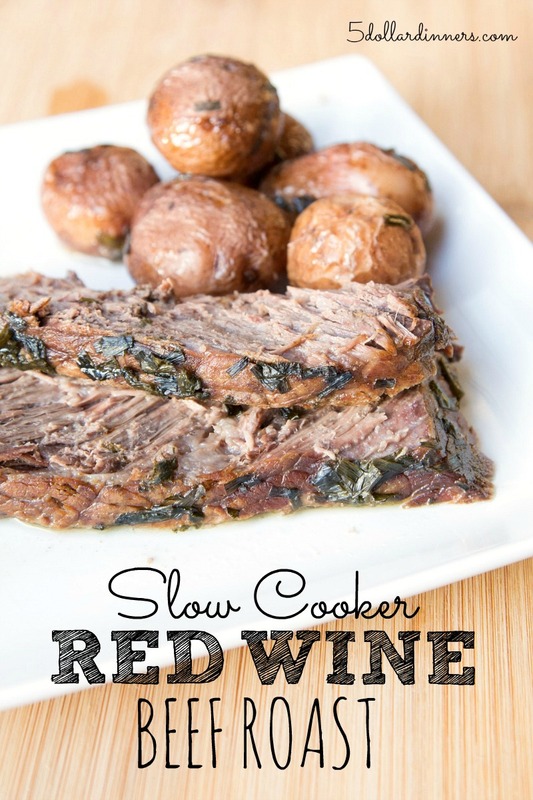 Serve Slow Cooker Red Wine Beef Roast and potatoes with side salad.